Please note: the sale has concluded. 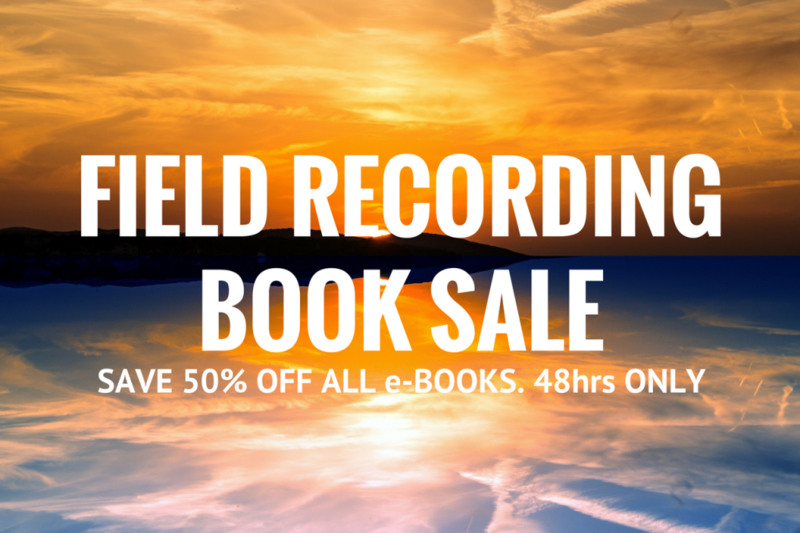 Today you can save 50% off all field recording and sound library building e-books. We have this sale once a year, and it lasts 48 hours only. Use discount code SUMMERSALECFR17 to save up to $25 on field recording and sound library e-books. Learn how to capture sound effects beyond the studio in Field Recording: From Research to Wrap. 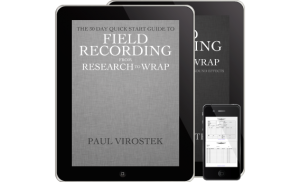 Step-by-step instructions guide you through planning, execution, and wrapping up recording sound clips in the wild. The book also includes background to the craft, and equipment guide, and a problem-solving section. 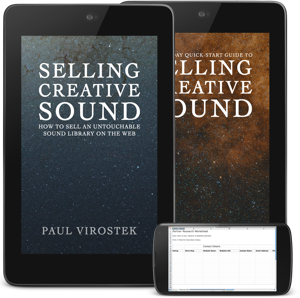 Discover how to record inspired sound effects in Selling Creative Sound. Learn how to produce clips that highlight your personal expression, then share your creativity on the best a la carte shops on the Web. Includes tips for naming, organizing, and labelling your sound files, as well as a guide for finding, partnering, and working with distributors. A problem-solving section describes to to sidestep common problems. Want to create your own sound sharing headquarters on the Web? Sharing Sound Online explains how to gather your field recordings and designed sounds into a collection you can share with your fans. It describes how to create your own Web shop, too. It includes ideas for sound bundles and how to assemble them wisely so they showcase your creativity. 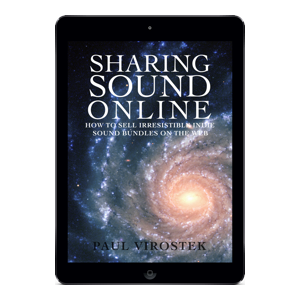 The book gives an overview of sharing sound online, including Web shop options, how to choose between them, and how they work. There are tips for launching and managing your store, small business ideas, and how to craft a professional brand. Worried about what could go wrong? Don’t be; there’s a list of common problems and how to avoid them. Use discount code SUMMERSALECFR17 to take advantage of the 50%-off sale for the next two days only. Thank you for your interest in the books.